This time of year, everyone is asking, “Would you like some zucchinis?” So, if you see me running from the neighbors, that’s why. It’s even to the point where there are too many flowers. I know. I know. It seems impossible, but it’s true. Yesterday, Jeff came back with a bag full from Margie. Today I bought some at the market, then I went over to one of my favorite guys, and his looked even better, so I bought some more. Come on, they are dirt cheap and soooo hard to resist. Yesterday for lunch, they were fried like chips. 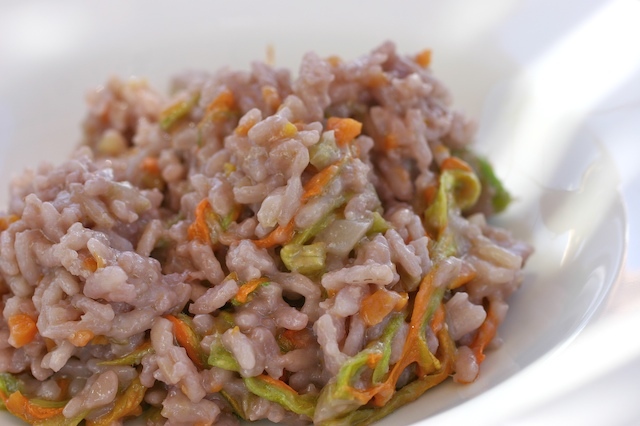 Today, I invented a red wine risotto with zucchini flowers. Let the vegetables and rice and butter all cozy up and get warm with each other, then start ladling in the hot salted water, bit by bit. As the water absorbs, add a bit more. Standard risotto technique. While you are doing that, wash and dry the flowers. Cut off the prickly bottom part and the little stemmy things. 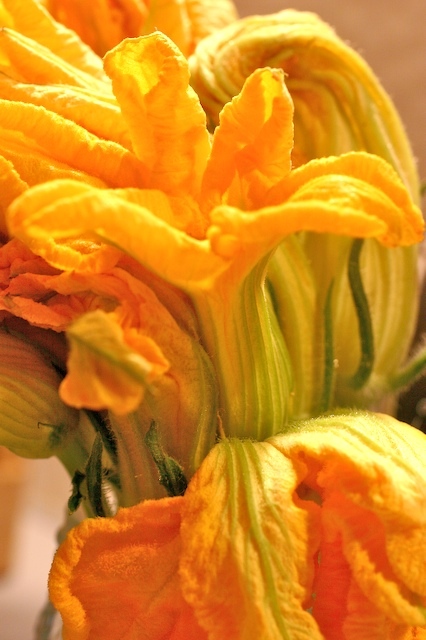 Julienne slice the flowers; meaning slice them thin and long ways. When the rice is almost done, just a little hard in the center, start adding the red wine. Use a basic red table wine…don’t use a big, heavy zinfandel, but a nice pinot noir will work. I used the organic, local wine that I believe is mostly malvasia. 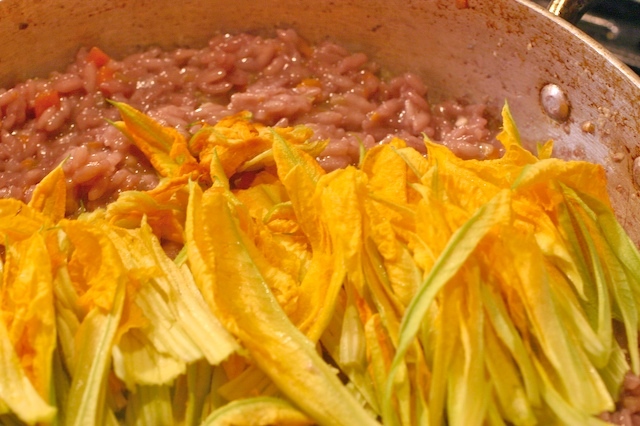 Once the red wine has been added, mix in the grated cheese and the strips of flower blossoms. If it seems a bit thick, add a little more wine. Serve immediately. 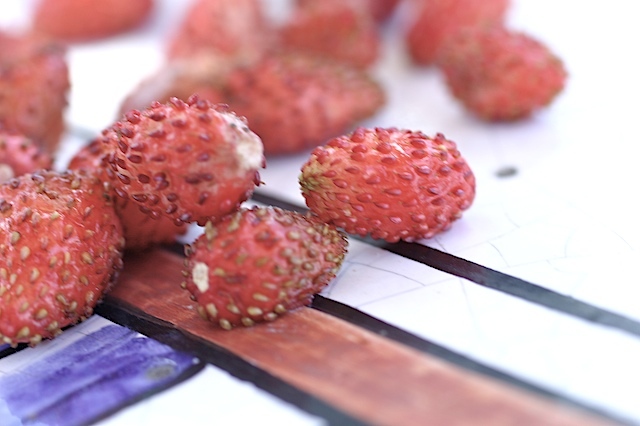 Oh, and just because I got lucky at the market today, dessert was ‘fragolini’, those little wild strawberries that are the most amazing concentrate of strawberry flavor. What good luck.